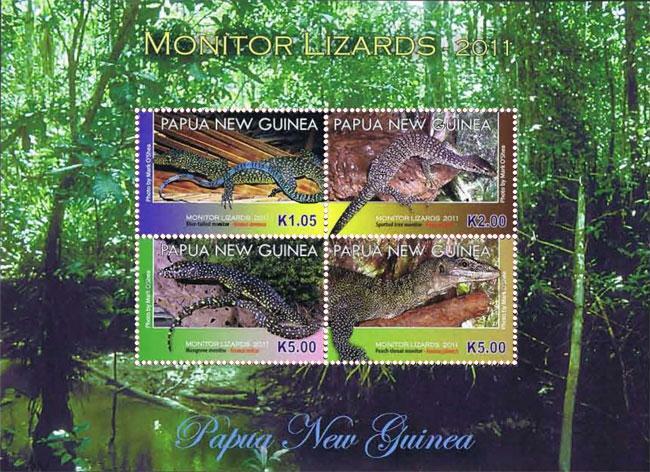 Following on from the success of the Dangerous Snakes of Papua New Guinea stamp series, Mark was invited to prepare a second set of stamps for PostPNG and the subject selected was Monitor Lizards of Papua New Guinea. Ten monitor lizard species (family Varanidae) occur within the political boundaries of PNG and Mark had photographs of seven of these, including the longest living lizard in the world, the Papuan monitor lizard (Varanus salvadori), aka Salvador's monitor lizard, crocodile monitor, tree crocodile or Artrellia, a long-tailed arboreal species that achieves a greater length even than the arid-island dwelling Komodo dragon (V.komodoensis). 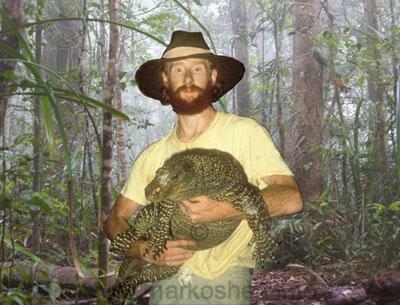 Mark provided all the images and text. 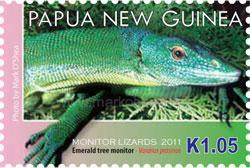 The stamp series was launched on 5th January 2011.
the closest locality to Port Moresby where this lizard has been recorded. 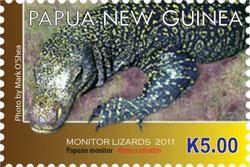 with each order of monitor lizard stamps. are now available for purchase from this website. Combinations of items can be purchased with savings on total cost. 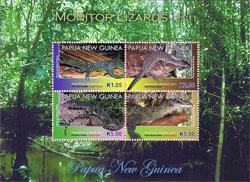 containing descriptions of the ten species of PNG monitors and details of the designer Mark O'Shea. 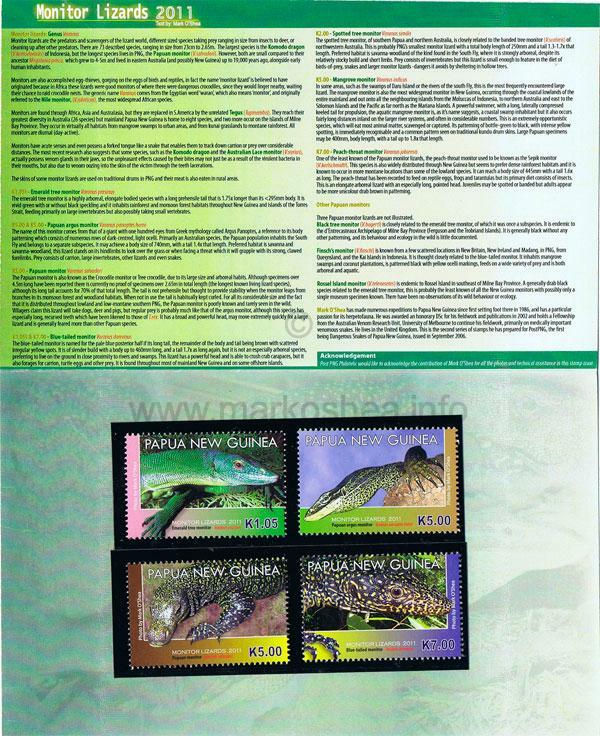 Opened the stamp pack measures approx. 20cm high by 16cm wide. 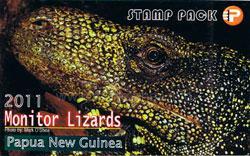 This stamp pack can be provided signed by Mark. A sheet featuring four different stamps from the stamp pack, suitable for a stamp album or for framing and mounting on a wall. 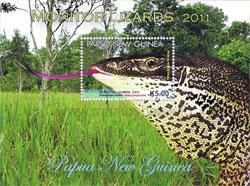 A souvenir sheet featuring a Papuan argus monitor, V.panoptes horni, suitable for a stamp album or for framing and mounting on a wall. 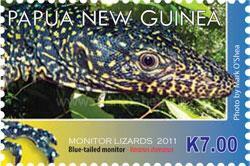 monitor lizard first day of issue stamp. 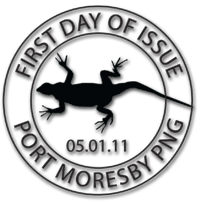 The first day cover measures 22x11cm. This first day cover can be provided signed by Mark. 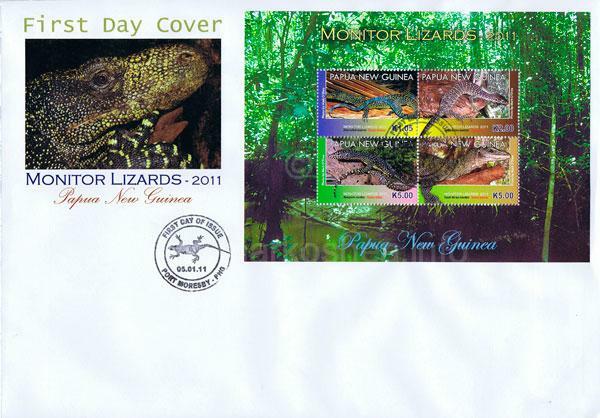 The first day cover measures 25.5x17.8cm. Souvenir sheet affixed to the official FDC cancelled with the official monitor lizard first day of issue stamp. 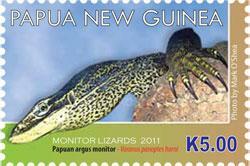 To view larger versions of the Stamp Pack & First Day Covers click here. Stamp sheet first day cover. Souvenir sheet first day cover.